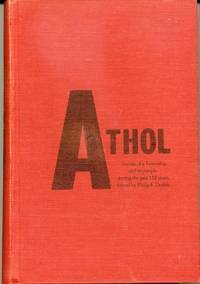 Athol Township senior citizen's activity group, edited by Phil Dodds and signed, very good slight discolouration of front board and very faint tanning of top edge, personal inscription and address sticker on front end paper. A limited edition of 1000. 456 p., illustrated bw portraits, drawings and maps. History from settlement time to 1979 of the farming and fishing communities of Prince Edward County. Project sponsored by Health and Welfare Canada New Horizons Program. Macmillan of Canada, 1967. 1st. fair. 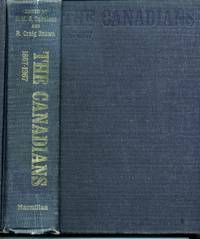 exlib This definitive study of Canadian culture, politics, history, the arts, sports and literature from 1867 to 1967 was originally published to coincide with Centennial year. Extensive colour plates illustrate the works of Canadian artists.